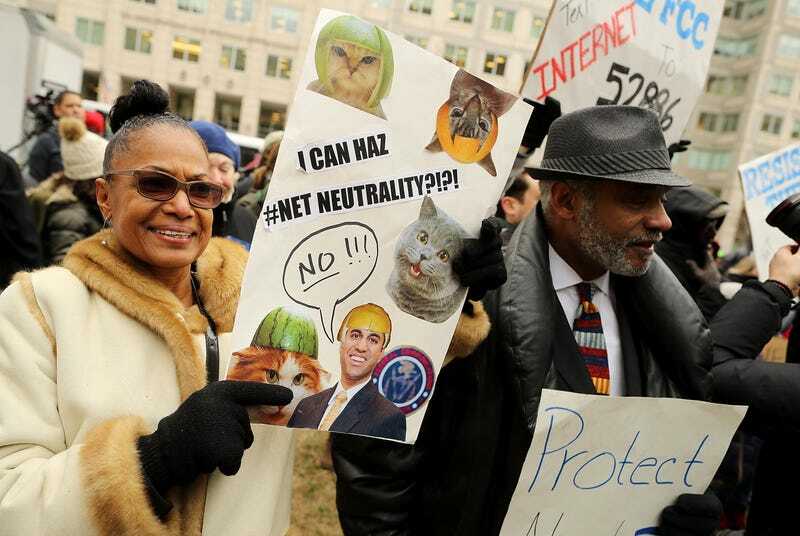 Senate Democrats announced Tuesday that they have 50 of the 100 members of the Senate prepared to vote in favor of their Congressional Review Act resolution to overturn the Federal Communications Commission’s decision to repeal net neutrality. According to CNBC, Sen. Ed Markey (D-Mass.) said in a statement that all 49 Democrats were in favor of the resolution, and Sen. Susan Collins (R-Maine) said earlier this month that she would support the resolution as well. Markey introduced the resolution shortly after the FCC voted along party lines Dec. 14 to reverse the rules of net neutrality put in place by President Barack Obama’s administration in 2015. Those rules prevented internet service providers from blocking or throttling internet traffic. They also prevented paid prioritization, or so-called internet “fast lanes,” which would allow faster access to some content if a premium is paid by the content provider. The FCC revealed the details of its “Restoring Internet Freedom” order on Jan. 4, but the new rules will not take effect for several months. If the CRA resolution passes the Senate, it will still have to pass the House, too, and be signed into law by the president. The White House said last month that Donald Trump was in favor of the FCC’s decision.